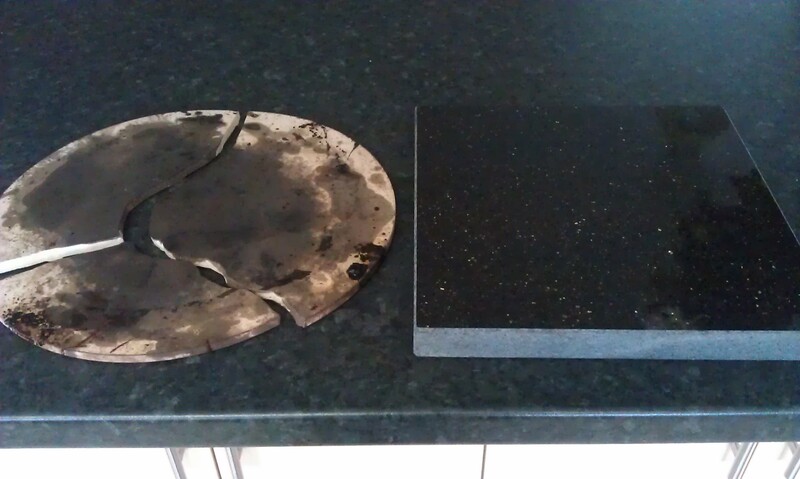 The reason the stone cracked is heat differences, moving it into a partially heated oven, or spilling cold water on it whilst hot. What better opportunity to replace it than a birthday. Despite being something I had hinted about it wasn’t until I lifted one of my presents that I realised what I had been bought. 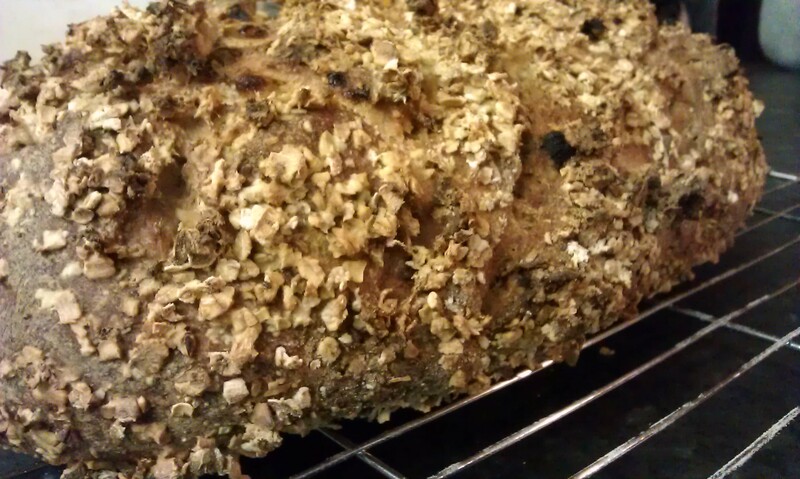 The stone was bough from what is fast becoming my favourite bread based shop – Bakery Bits. The stone is one of their 30x30x3 cm granite stones – here. It weighs a ton, well a good couple of kg, and in an odd way it is beautiful. 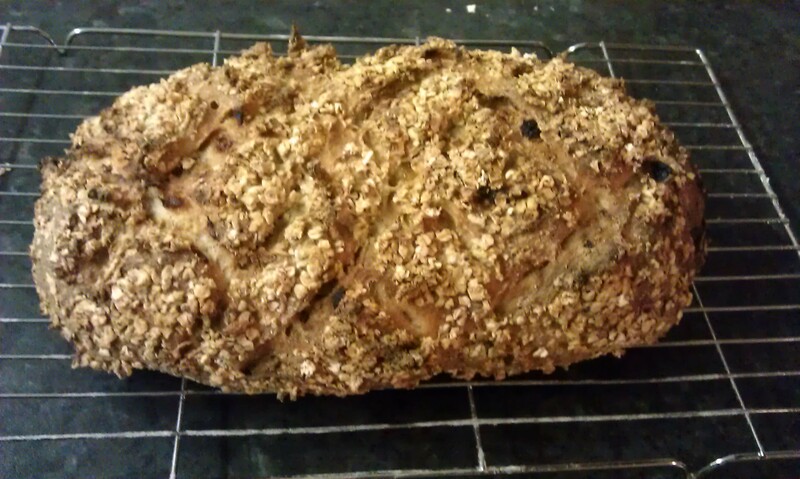 For the foreseeable future it will live in the oven, as I don’t have the space to take it out and store it somewhere. 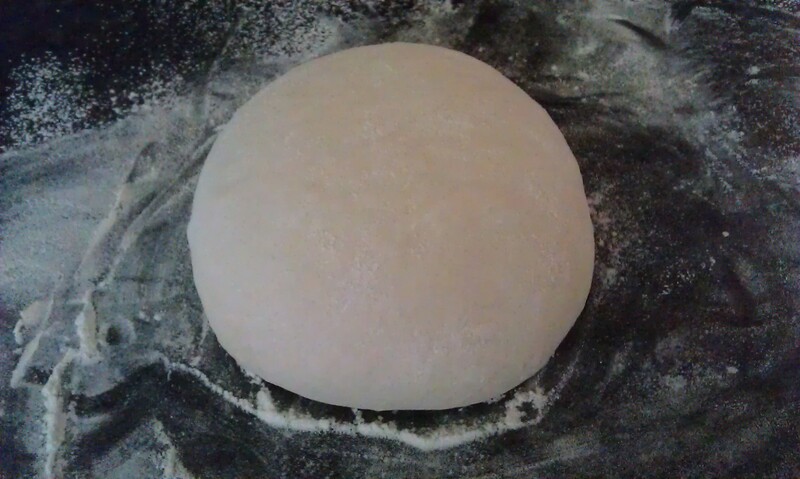 Due to it’s size it does take longer for the stone (and the oven) to heat up, but it is worth it for a better bake. 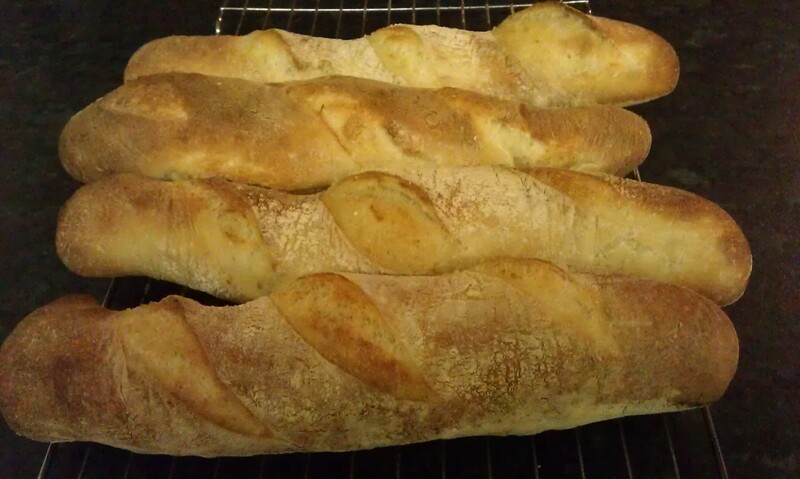 To test it out I have made two bakes from Richard Bertinet’s Dough – A basic baguette and an apricot and oat loaf. 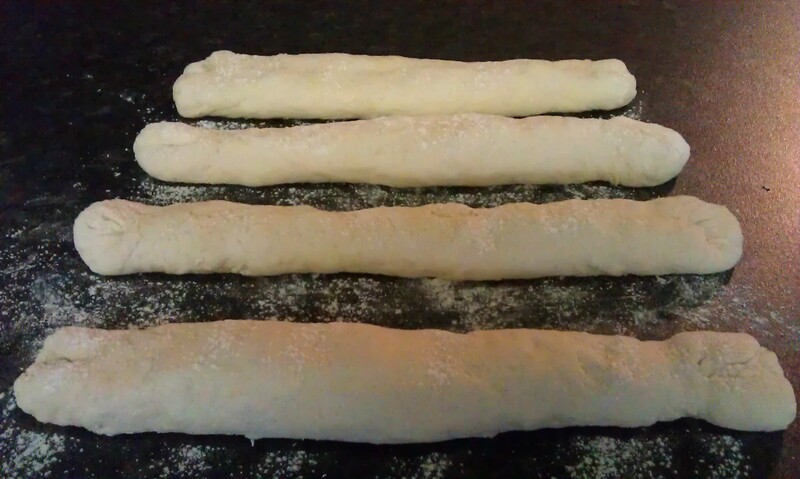 Rather than using the baguette tray I went free form to test out the baking stone. 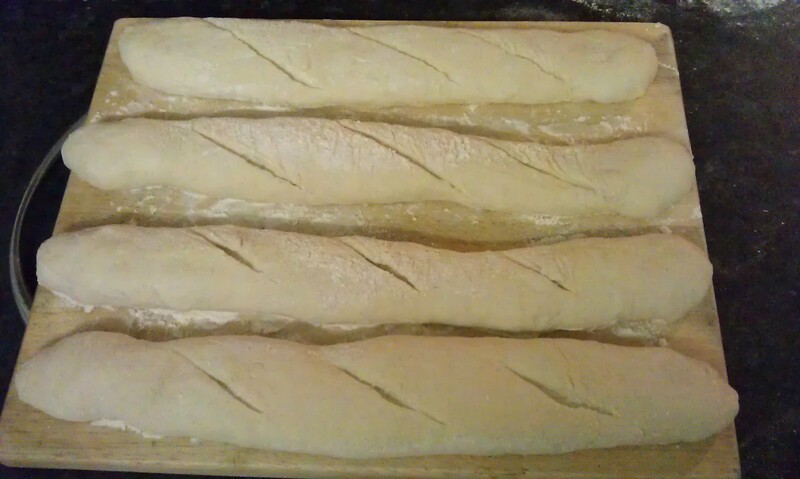 The recipe is very basic, just normal white dough shaped into baguettes. 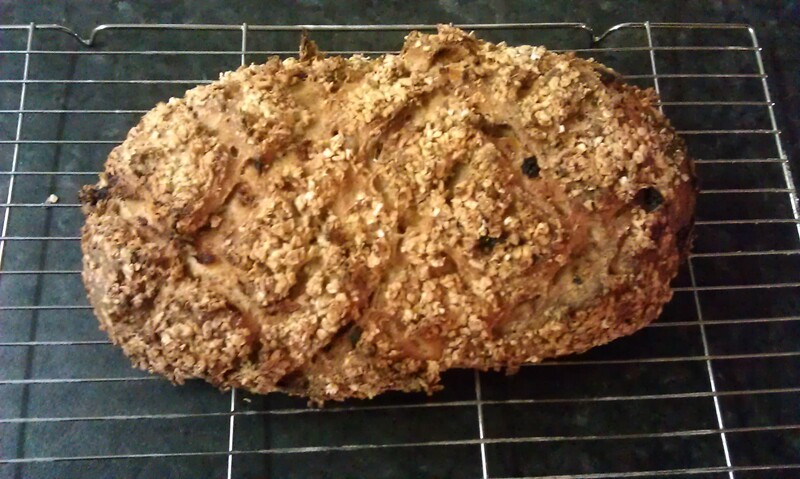 Oddly with this bake it didn’t cook for very long, all of about 15 minutes. 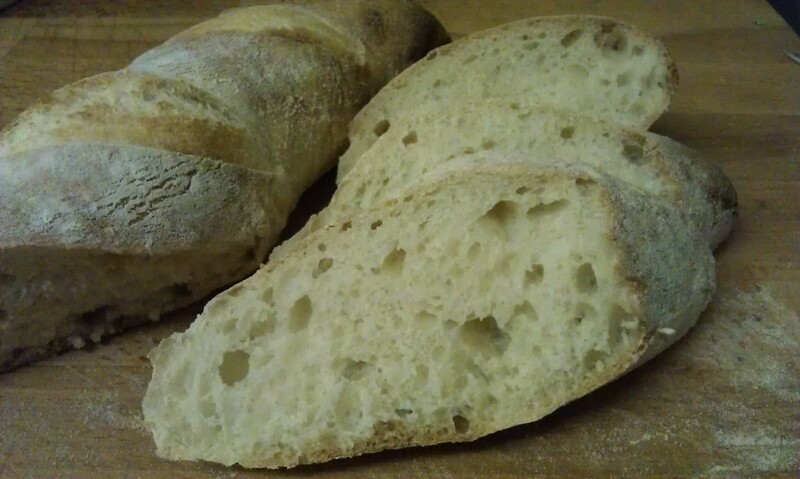 This gave the baguettes a very soft feel, which was really nice, but very different from the traditional crusty baguettes I have been making previously. Next time I would perhaps leave them in for 5 mins more, just to see what happens. 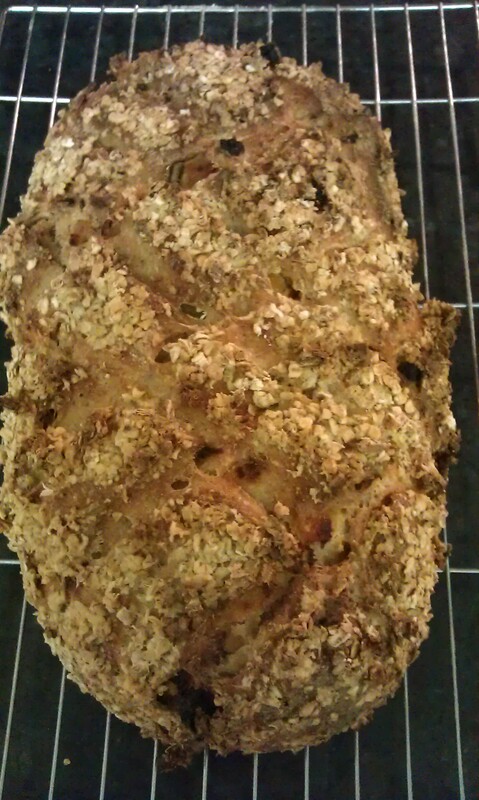 This bake is fresh out of the oven, as of last night. It has actually been made as a present for Claire’s parents, as we are visiting them over the weekend. 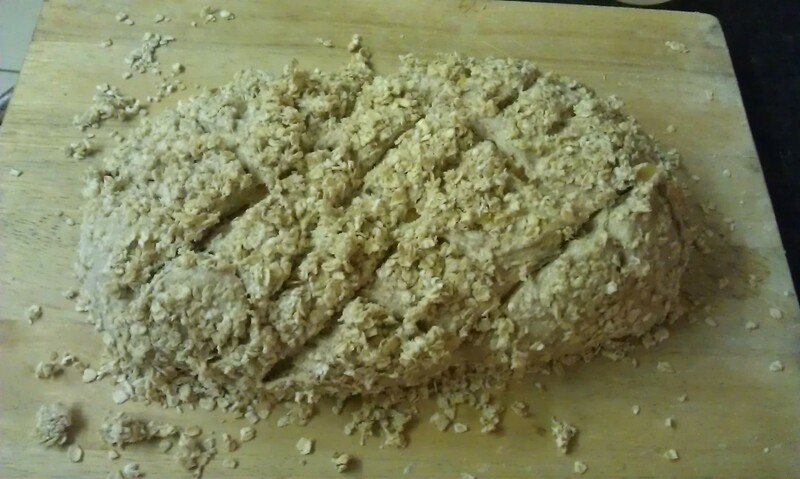 As such we haven’t tried the bread, and so there are no pictures of the crumb, sorry, I will try and post some after the weekend. 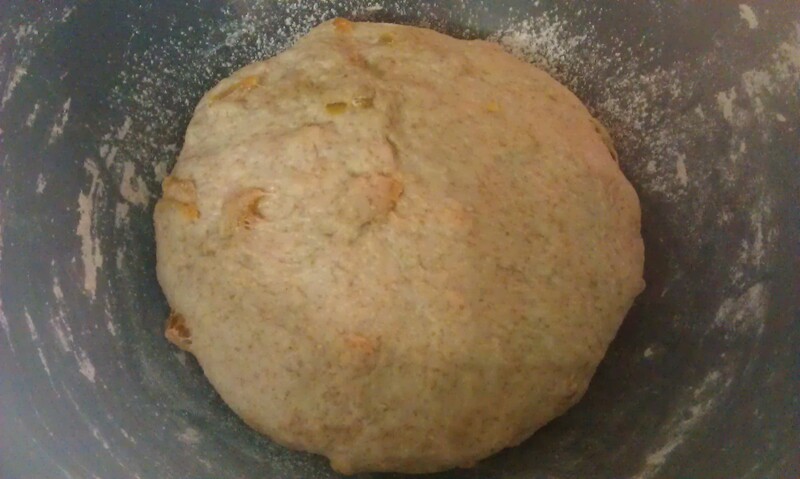 The bake itself is just a simple wholemeal dough (again 2:3 white to wholemeal) with a lot of cut up apricots in it. 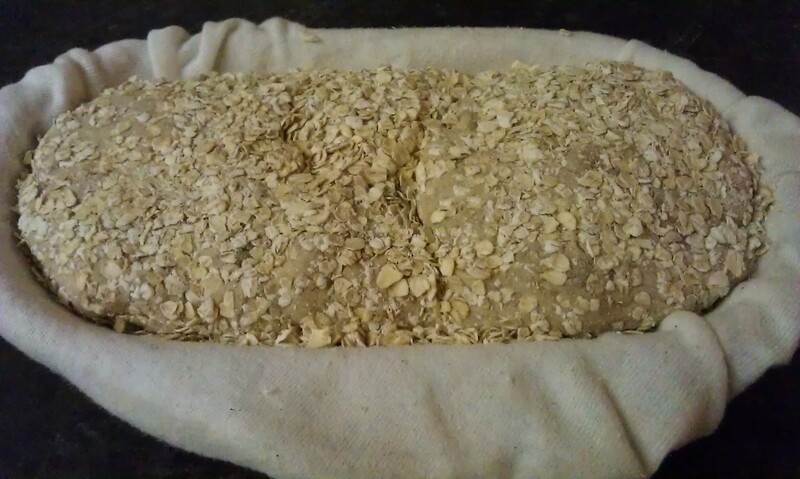 The oats are just for topping the loaf. Honestly I found the addition of the fruit caused a few problems with the prove, as I found it didn’t rise as much as I had expected. This made for what feels like quite a dense loaf, but it is recommended as a breakfast loaf, so that may not be a problem. Either way I think it looks good, in a rustic way. 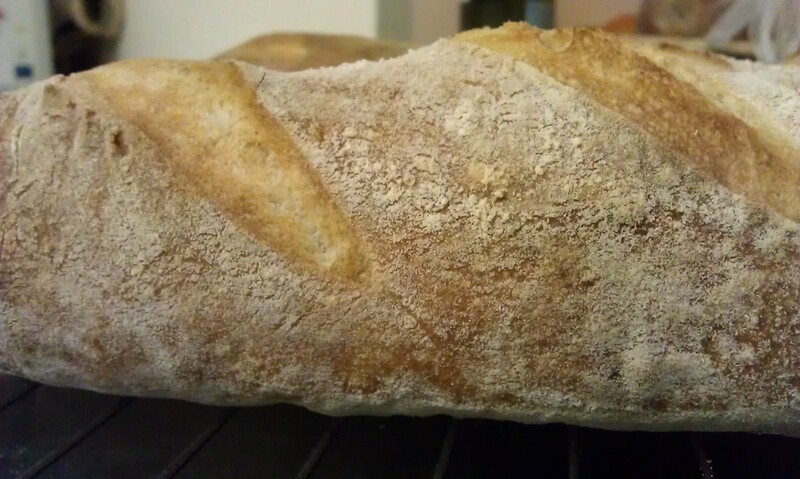 So I am very happy with my baking stone, it appears to give the bread a really nice crust. 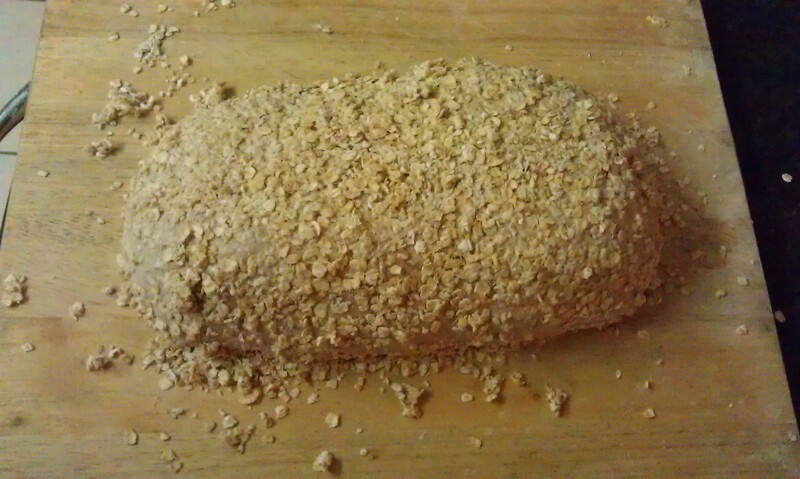 The is no need to turn the loaf over to finish the crust on the bottom. 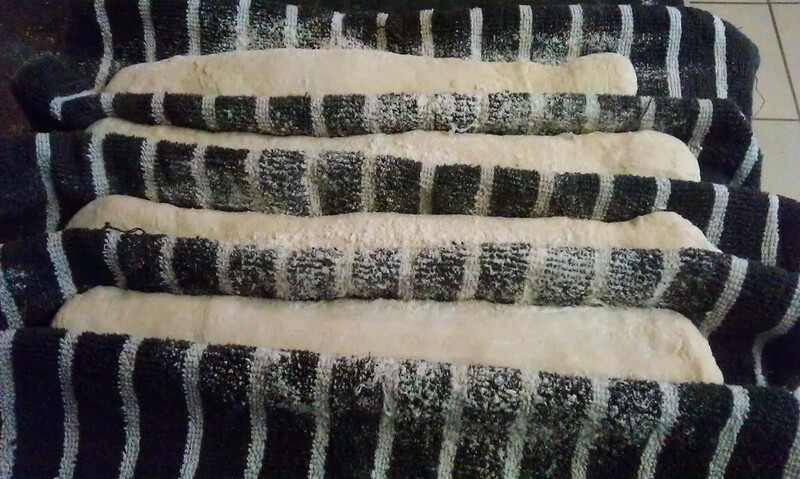 It also provides a really even distribution of heat through the dough. 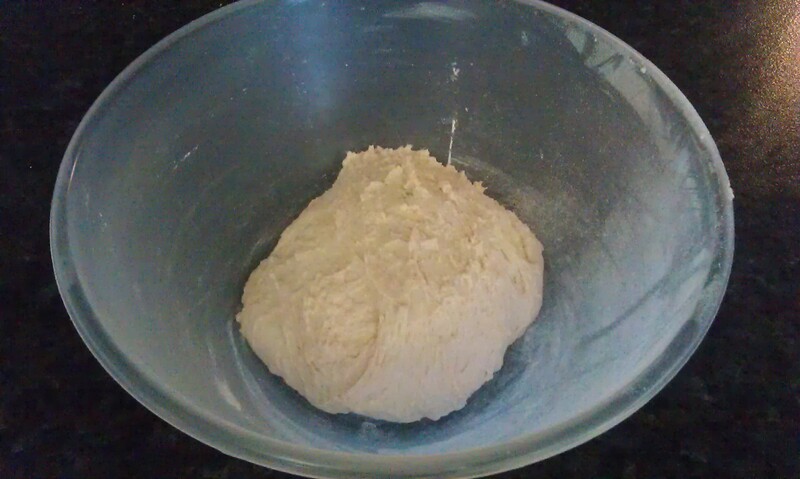 I am really looking forward to trying it out with a good sourdough, so watch this space. I have been using a heavy pre-heated baking tray with good results but have a longing for the baking stone you have just purchased. Hmmm… my birthday is in August….